Private lessons would be perfect if you are tied to a busy lifestyle as they are flexible. The benefits of 1to1 private lessons will help you to manage your achievements in a way that fits around you. Improvements are seen quicker with a dedicate qualified teacher focus on you only an your goals, also 1to1 lessons are great if you need to build some confidence. £30.00 p/h – Discounts available when you purchase more 5 or more lessons at the same time. Taking Spanish lessons with a partner, best friend, sister or brother, can also be arranged. The 2to1 classes have the flexibility of the 1to1 and the fun of the group ones. £40.00 p/h – Discounts available when you purchase more 5 or more lessons at the same time. Group courses are a great way to meet new people at the same time you learn a new language, Spanish connection courses take place in a relaxed, friendly and entertainment environment. The classes cover all subjects from the basics and with a great range of topics. And all the materials are included. They are 10 weeks long, one hour and a half once a week. £110.00 – for the whole course. You can learn more about the course here, included the course curriculum and who is this course for and who is not for. The world is changing and with it the way we conduct business, until now English was the popular language in order to get a deal, but South American countries are growing up, and that has opened a new and extended market in which knowing Spanish will put you in a preference position. The lessons take place at your office and materials and expenses are included on the price. Need need some extra help with school, college or university homework ? Are you a company that needs documents translated, contact Spanish connection, we do all kind of translations from English into Spanish, also Spanish connection offers a proofreading service. The time and cost of this service depends on the quantity of the original documents, don’t hesitate and ask the quote for yours. If you want to get an official and worldwide qualification Spanish connection will prepare you, working the aspect and different skills you will need to get the certificated. Speaking a second language can open lots of doors in this competitive world we are in, and it is surprising how quick and easy kids can learn. The kid’s lessons are entertaining and fun, working on aspect children like so they stay motivated, and start understanding the Spanish language as well as its culture. They will ask you for more! 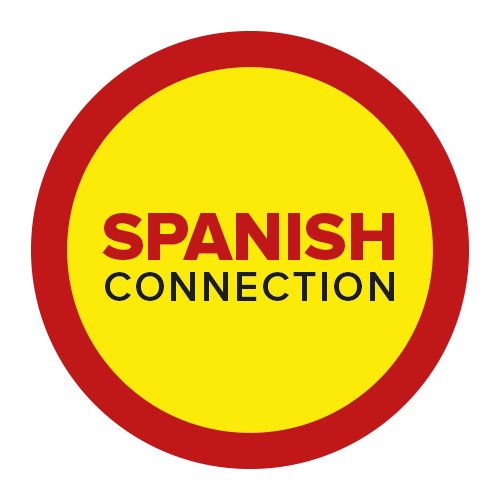 Spanish connection is always happy to create new groups or growing up teaching somewhere else, so if you and your friends want to learn together and make your own group, or you would like to have the lesson somewhere else, get in touch! If you bring a friend along, you both get a 10% off for each new friend you bring. Note these discounts are not applicable with other offers. You will only be entitled to one of your discount each course you book at Spanish connection.